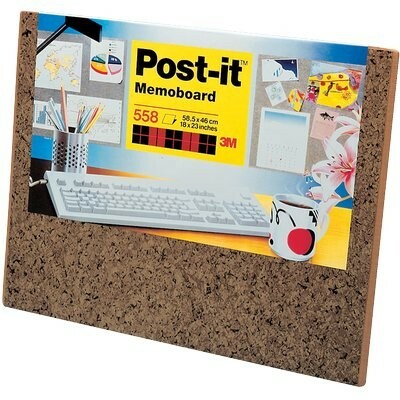 Stick notes and memos to your Post-it® Memoboard to keep them within easy view. Items stick firmly, remove easily. Memoboard attaches to cubicle walls with new fabric attachment system. 457mm x 584mm, also available in charcoal or burgundy.